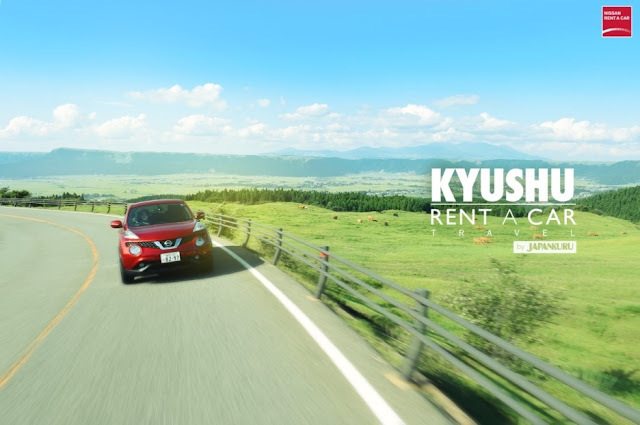 Kyushu, located at the southern tip of the Japanese. as well as the fusion of urban and nature. 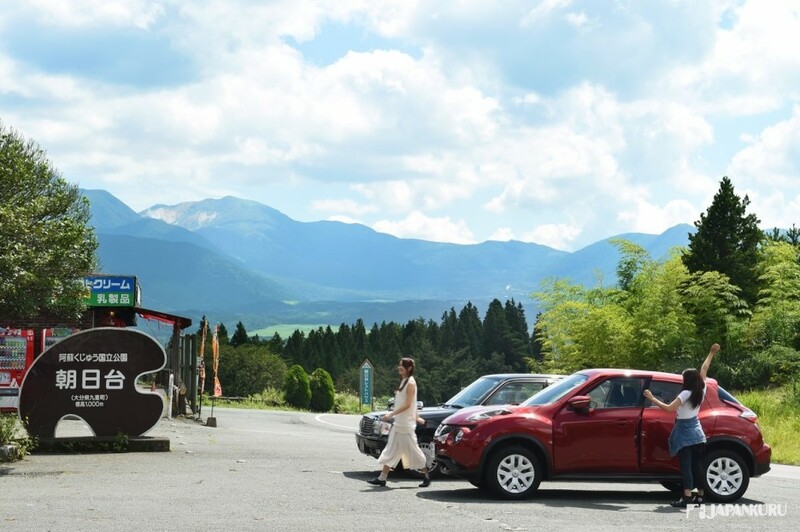 Gathering all the element of your traveling! 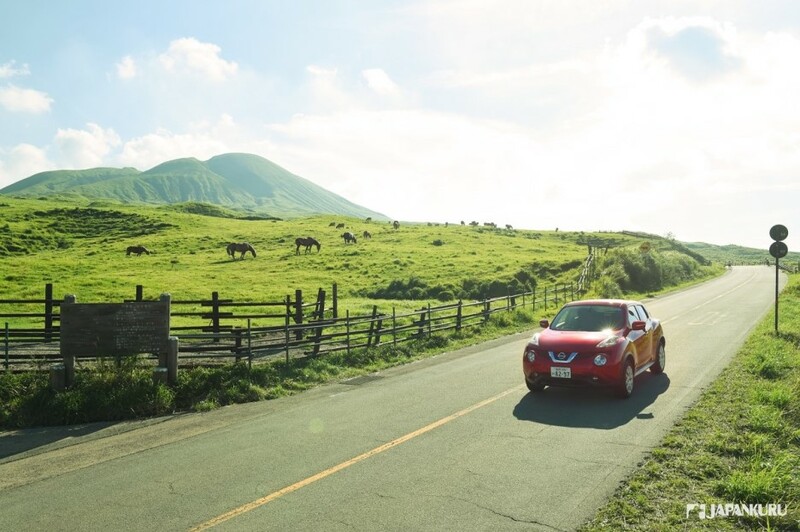 Let's enjoy the natural beauty of Kyushu in this RENT-A-CAR road trip! This time, we are gonna start our trip at Hakata, Fukuoka and continue the route around Mount Aso in Kumamoto Prefecture, to Beppu, Yufuin hot springs in Oita Prefecture. The name of the route is called Yamanami High Way." It is chosen as one of the "Japan's hundred channels." 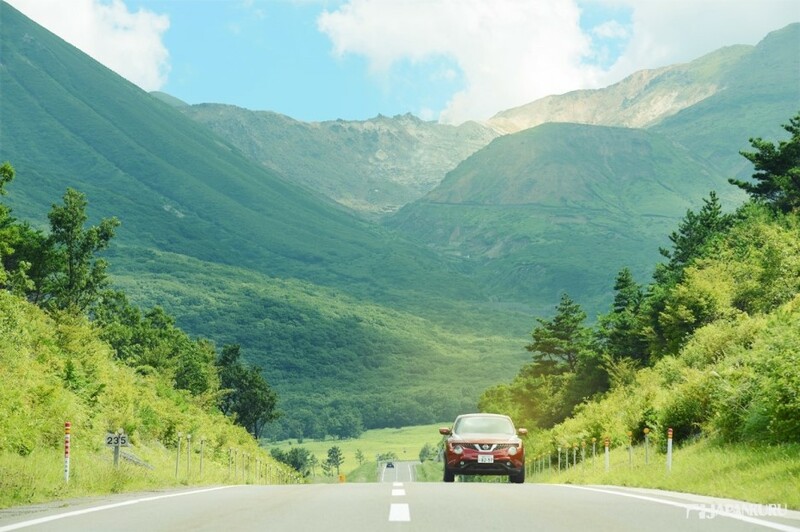 this is definitely a good driving route for you! This time we finally got it! 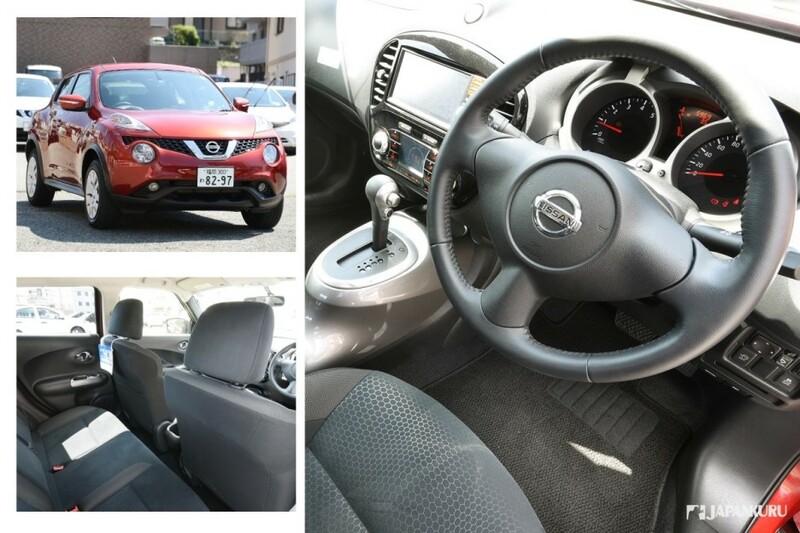 We have a red NISSAN's SUV JUKE with us this time! Okay!!! Our trip for this time starts here!!! It is Fukuoka Airport store, in front of the domestic terminal of the airport! you can first take the bus at the No. 1 bus stop on the 1F of Terminal 1. Get off the bus at domestic terminal 2. 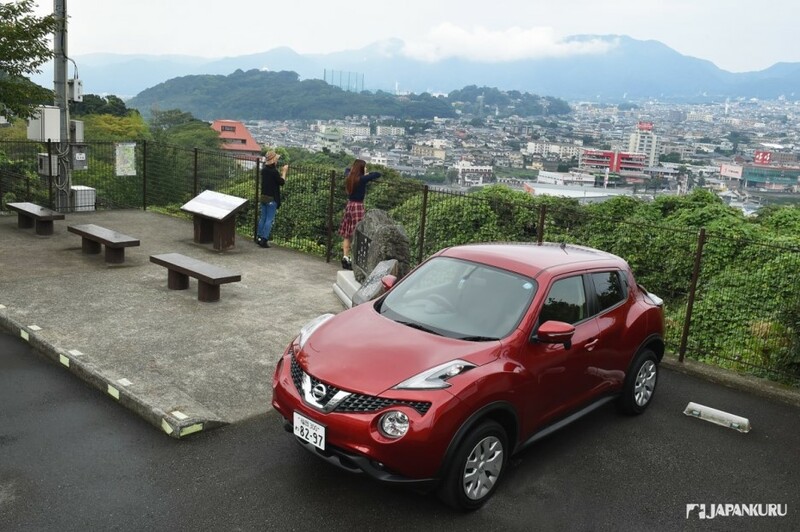 Then, you will see the NISSAN RENT A CAR on the opposite side of the road. Coz there are a lot of types of vehicles. 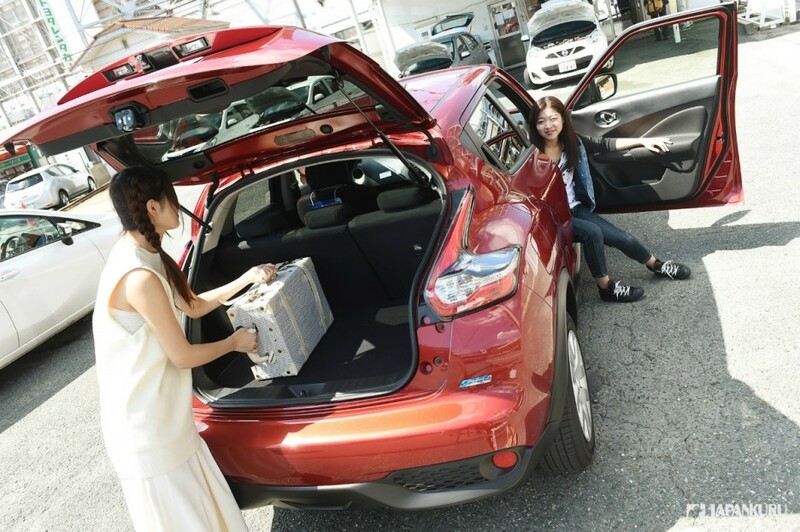 but why we prefer Nissan??? That is why we are here this time as well! No worry even you don't speak Japanese! Thanks for the welcoming from this friendly staff! use various of body languages would help you to go through the procedure smoothly. 4. 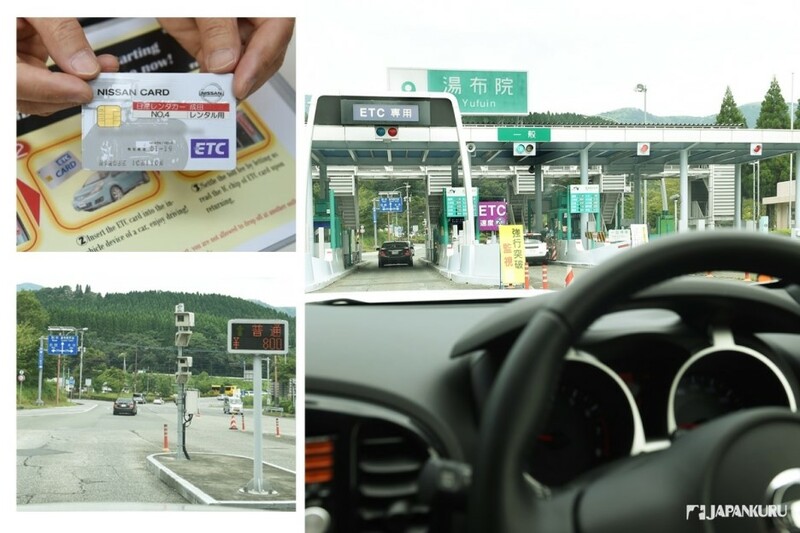 Freeway ETC card >> How to use? 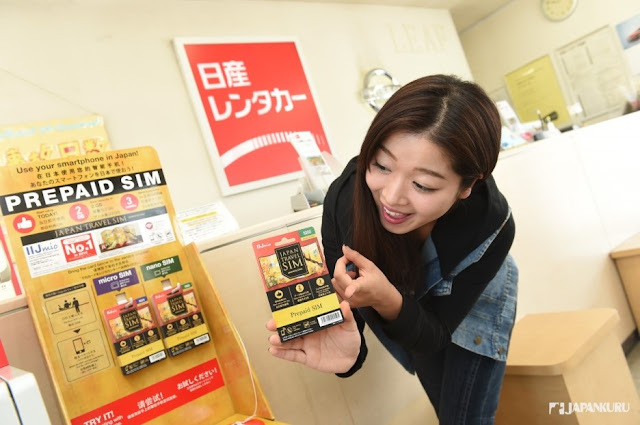 SIM CARD for foreign visitors are available!!! Sharp appearance, small but powerful. 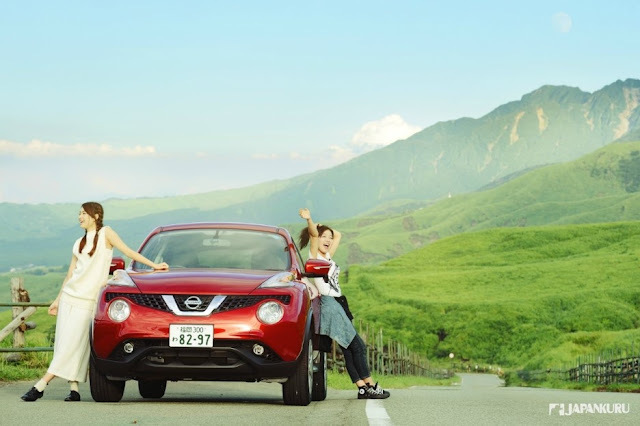 How cute is the Japan's models! Why do we choose this JUKE? 1600cc direct injection engine, 190 horsepower /24.5 Torque. 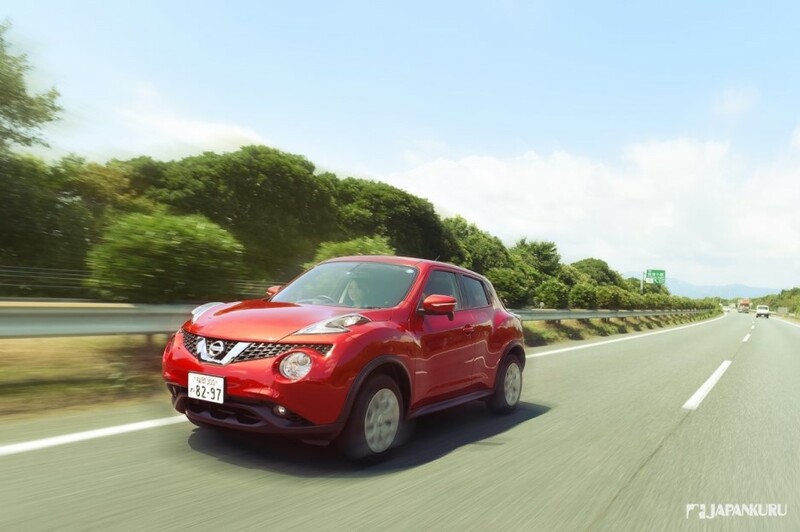 That is why we choose this powerful JUKE! a spacious trunk is available! Let's start our Kyushu trip! Great performance in various conditions! Just 129 yen in Japan! 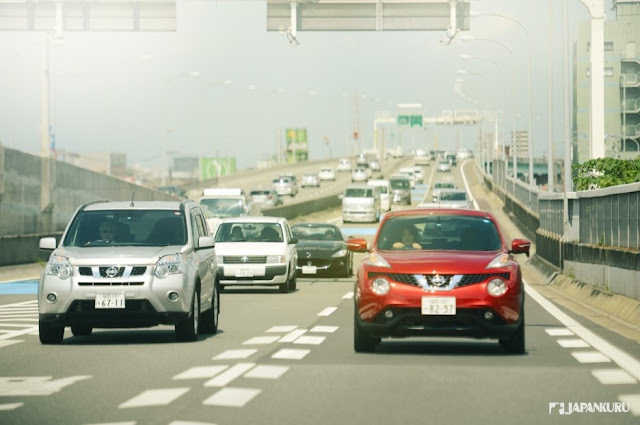 Basically speed limit in Japan is about 60-100 km. 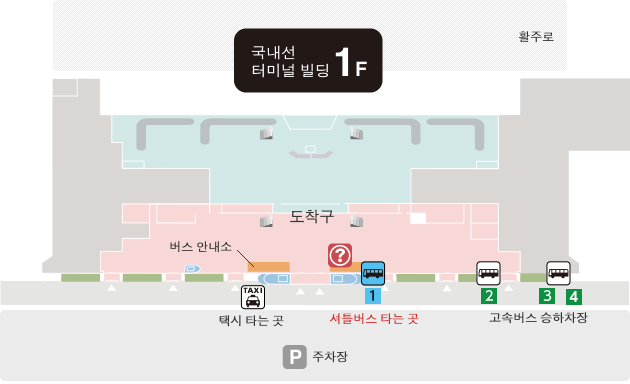 You will see there are divided into general entrance and ETC entrance. It you use cash, go through the green one. If you have ETC card, choose the purple one! Of course, it is better to know about the travel rules in Japan before starting your road trip! 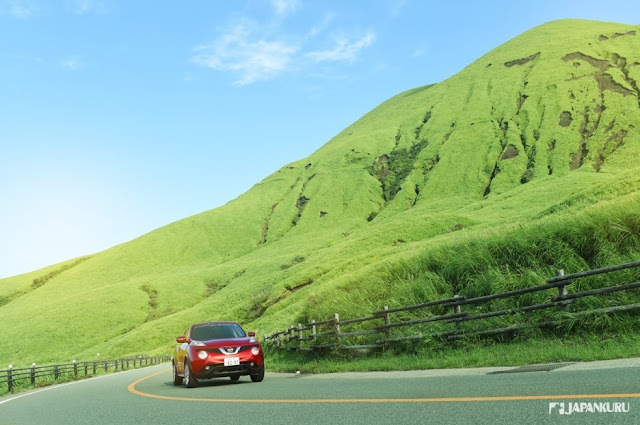 Between "Yufuin / Beppu" in Oita Prefecture and Aso in Kumamoto Prefecture, which is a 50 kilometers highway called AMANAMI HIGH WAY in Kyushu. 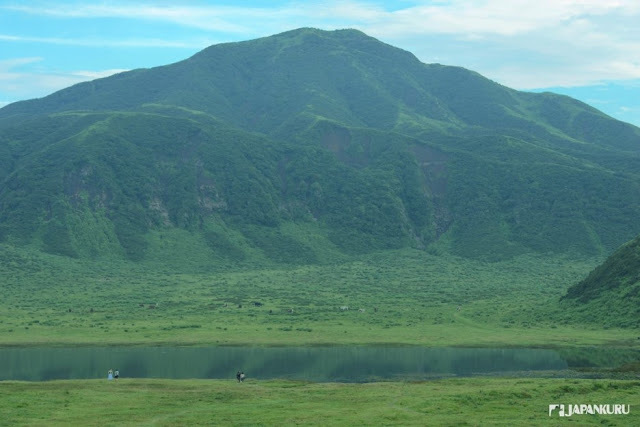 It is about 1,500 to 1,700 meters tall. Oh!!! The awesome view that you can't really express in words. From Yufuin to Aso, we have come across this amazing landscape observatory. 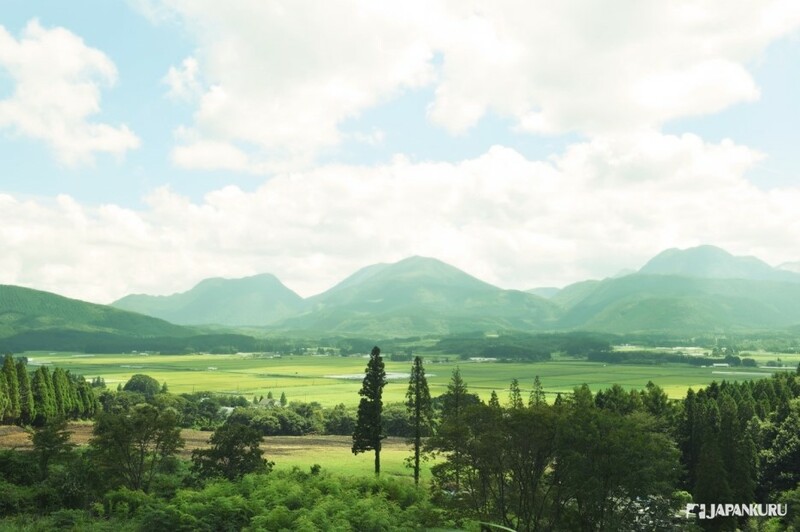 It is the "Aso Kuju National Park." 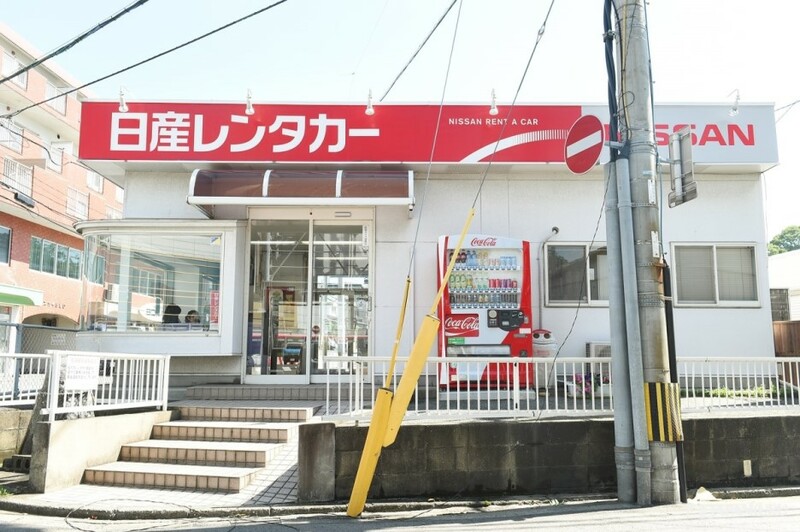 Many Japanese visitors like to stop by here to have delicious lunch!!! 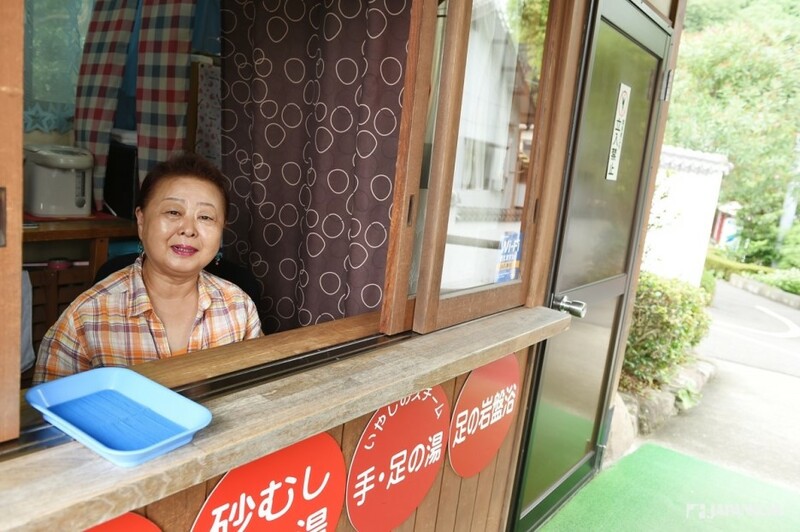 you don't wanna miss Toriten, dango soup and soba noodles. Cows are leisurely eating grass cows at the flatland under the volcano. Come and take a rest then! 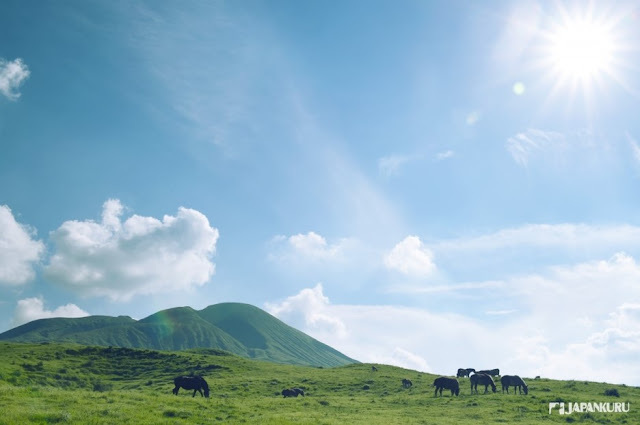 A vast grasslands surrounded the volcano located at Aso Five Sacred Mountains foothills. 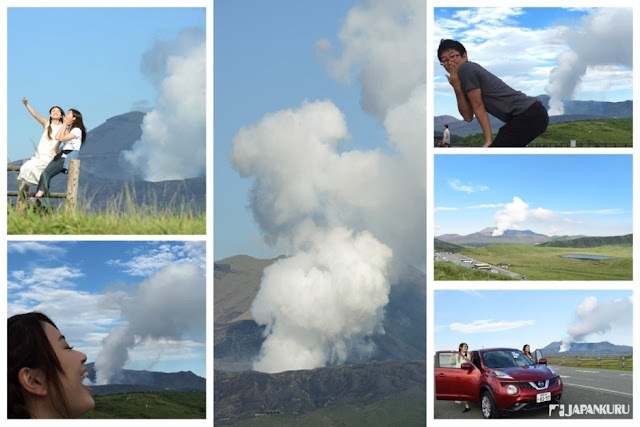 It is about 785,000 square meters of grassland, smashed from a 1km diameter crater. Let's make fun with the smoke huh!!! It is a famous spot always appear on the guidebook! Located in the middle of the prairie grass. Actually, it is volcanic lake formed by accumulated rainwater in the crater! 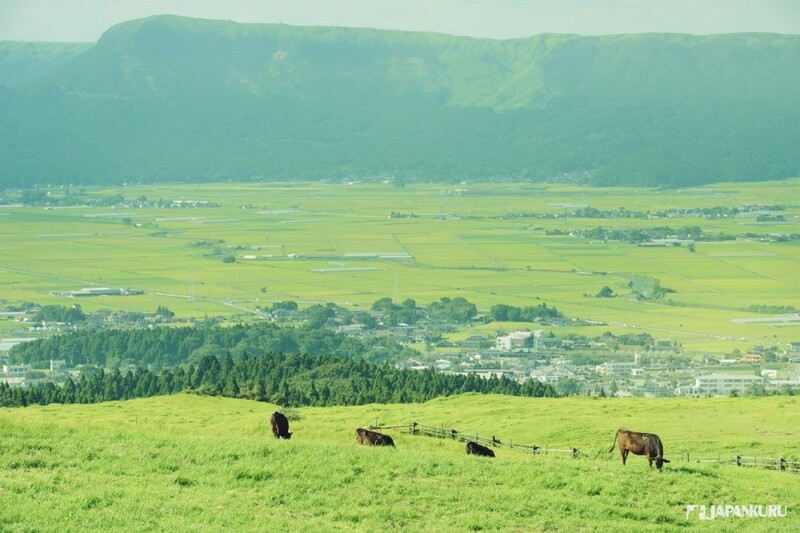 There are horses, lake, and mountain. Facing the sunset and then stepped hard on the accelerator. 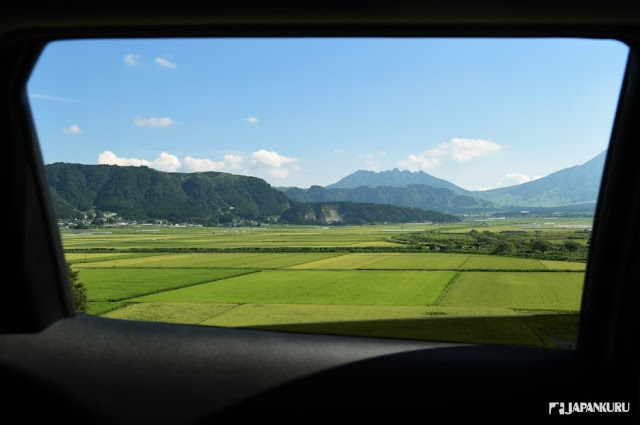 Let's go and move on to Oita Prefecture! There are a lot of gourmet in Oita Prefecture. 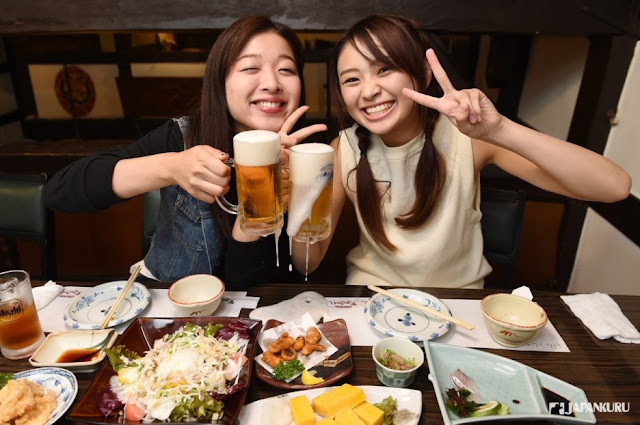 Find a business hotel for accommodation and get into a izakaya! Having the most number of hot springs in Japan. More than 2800 springs origin and discharged as much as 137,000 liters per day. Indeed it is a Hot springs village! More than ten million tourists come and visit a year! 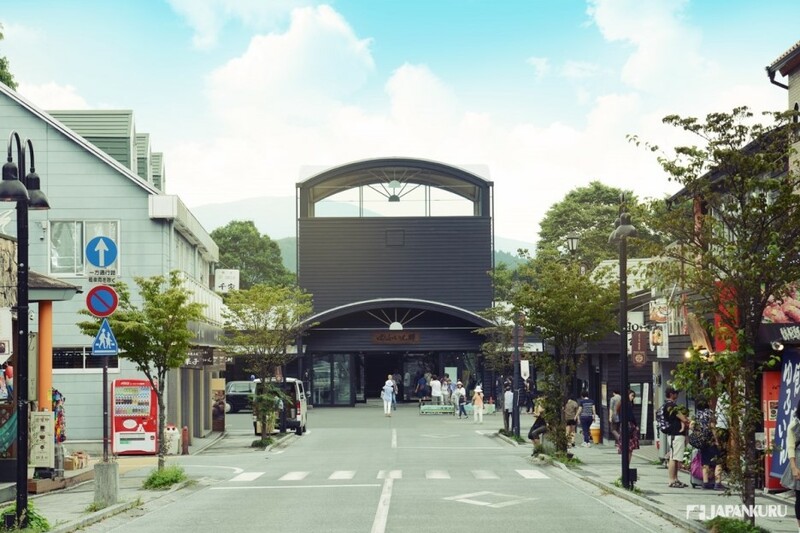 there are a lot of unique hot springs in Kannawa Hot springs. There are many foreign visitors! 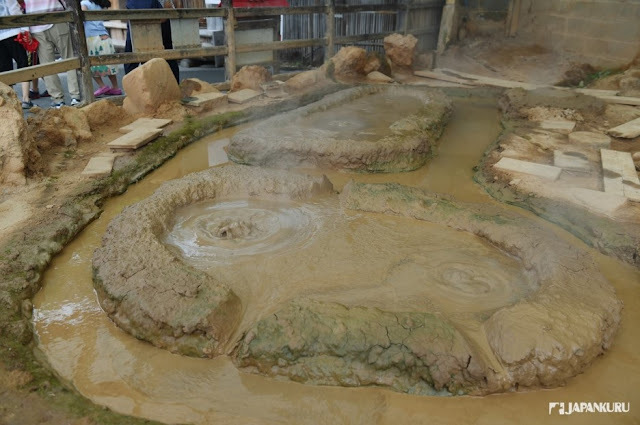 This hot springs is called Kamado-jigoku. It is said that there is ghost guarded this boiling hot water. The exclusive strong smell of sulfur vapor, only here!!! Just park your car and pay 400 yen admission fee! # Good for throat and skin? No doubt good for skin huh! Wait!!! A reddish ice cream with chili powder! Wow!!! Can't you tell she is over 60??? 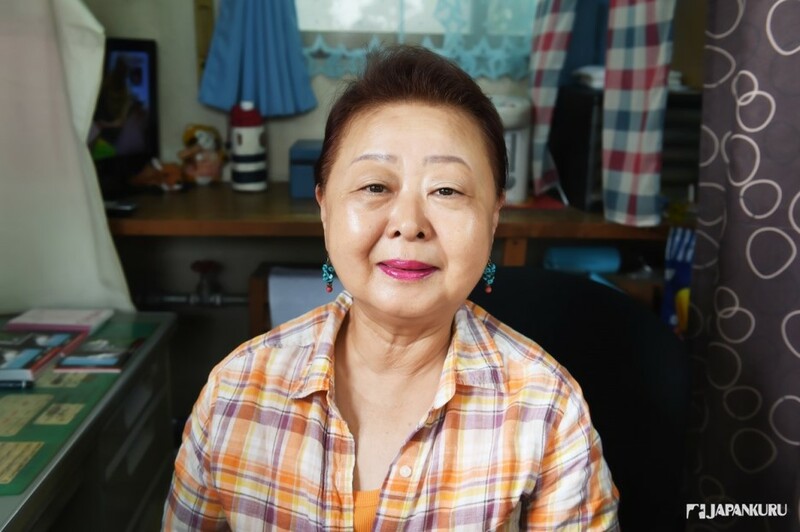 A native born of Beppu! She said she has never used any special skin care products. Let's take a close look! It is hard to find thing not related to hot spring in Beppu! 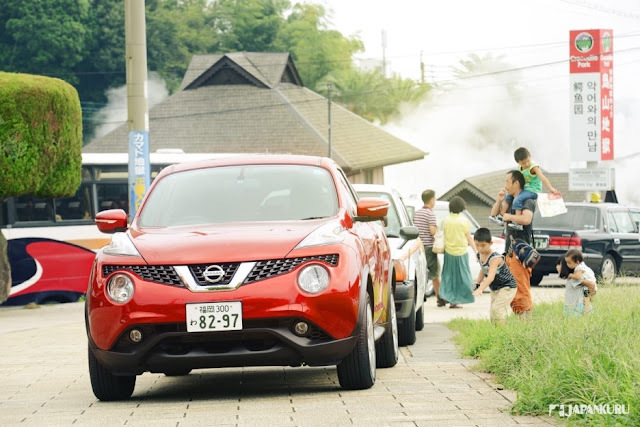 After baptism from "hell," we continue on the road to Yufuin. toll fee is 800 yen. 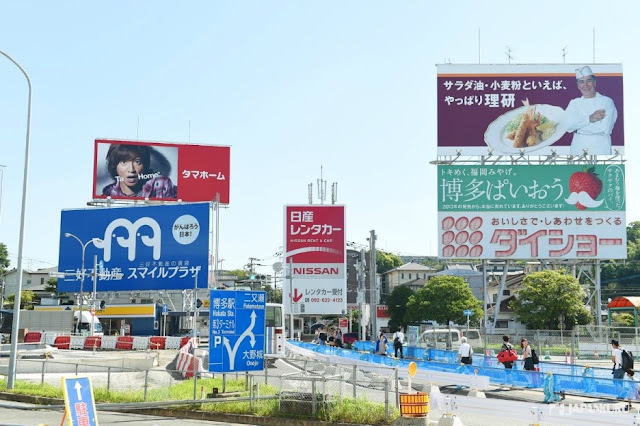 Following Beppu, Kusatsu, Yufuin ranked No. 3 of the amount of hot springs in Japan. 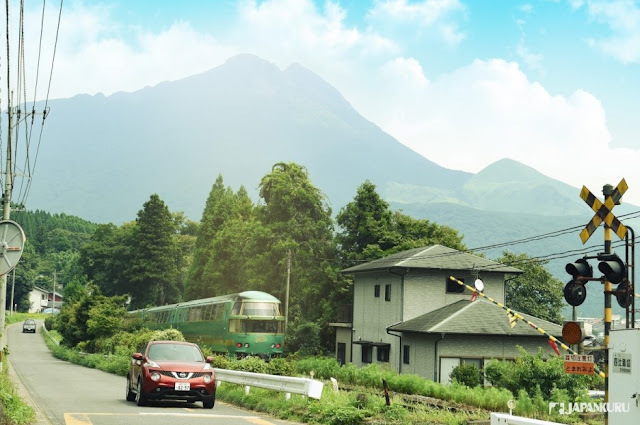 In the countryside, the train is trying to run a small roadside about 1584 meters tall. it is a nice place for couples huh! a neat road in front of the station. Not only hot spring bun, cake, but also , French cafes and restaurants. Ancient rustic atmosphere with western elements. 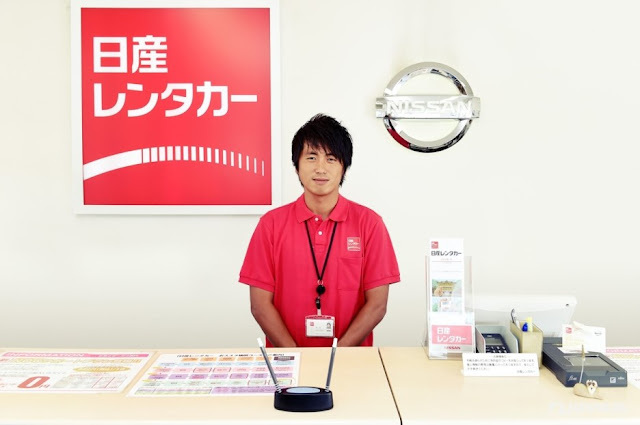 Where is Tenjin in Fukuoka? It is like the combination of Harajuku, Shibuya, Ginza and Shinjuku. A lot of food, shops, a bustling place!!! It is just like the shopping area in Tokyo huh! 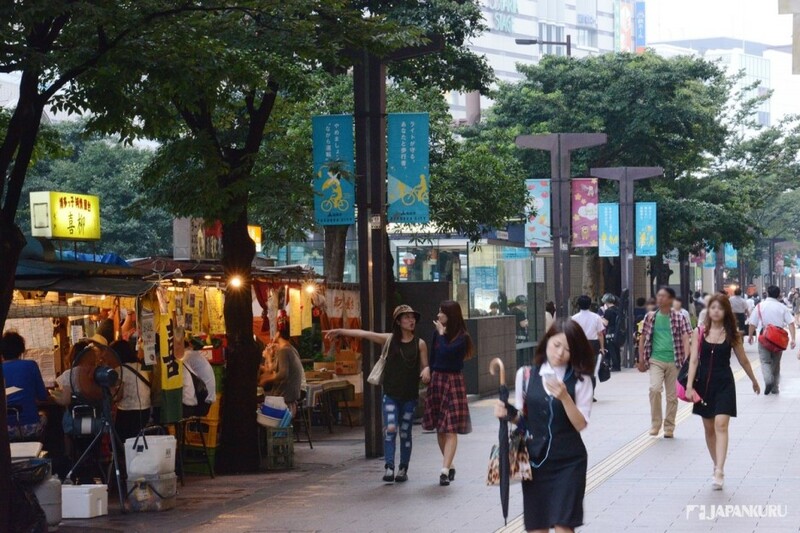 In this bustling streets, there are a lot of "yadai" (food stall) opened at 17:00 in Hakata, Fukuoka. They are still loved by local people as well as tourists! 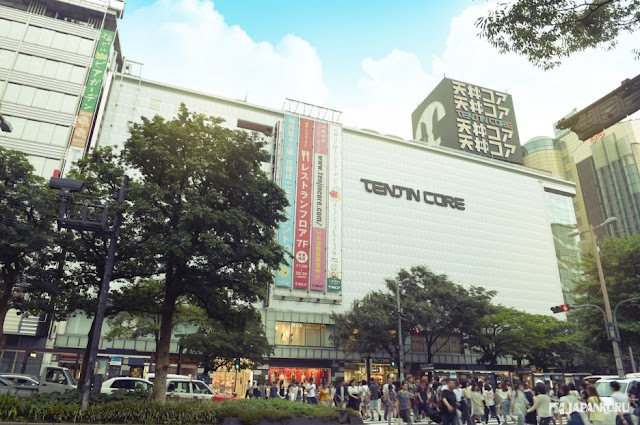 We recommend the crossroad of Tenjin Station. 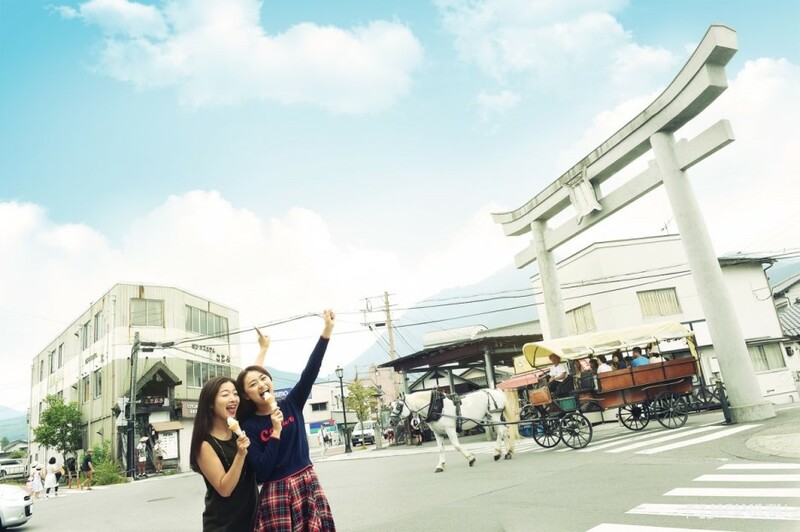 Right in front of Daimaru Department Store! 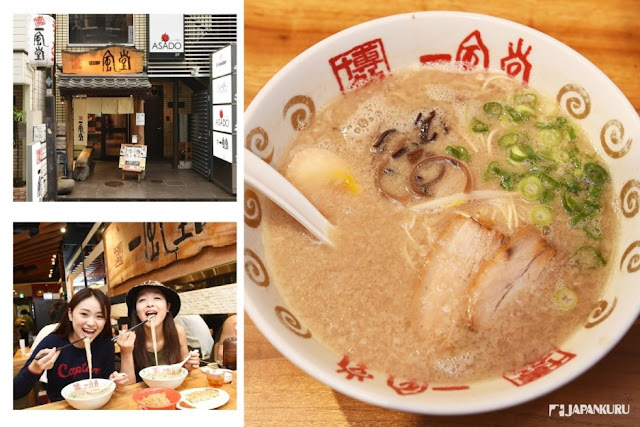 you don't wanna miss Tonkotsu-ramen! 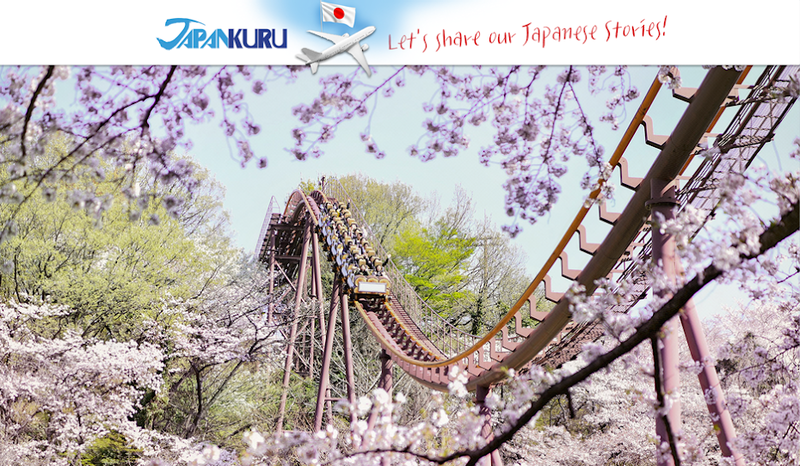 Open in 1985, all over Japan as well as to the world! Come and taste the original of the original! * There are paid parking lot in front! Just park your car there and go eat ramen! 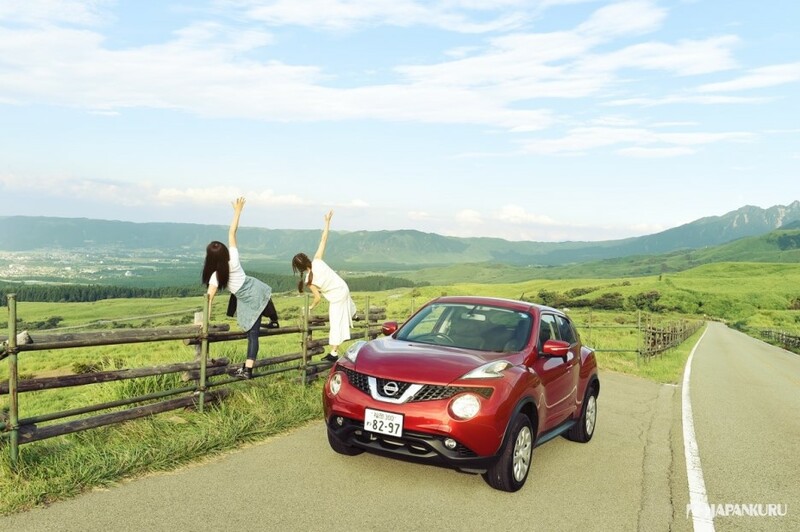 Enjoy the scenery. Beautiful nature. 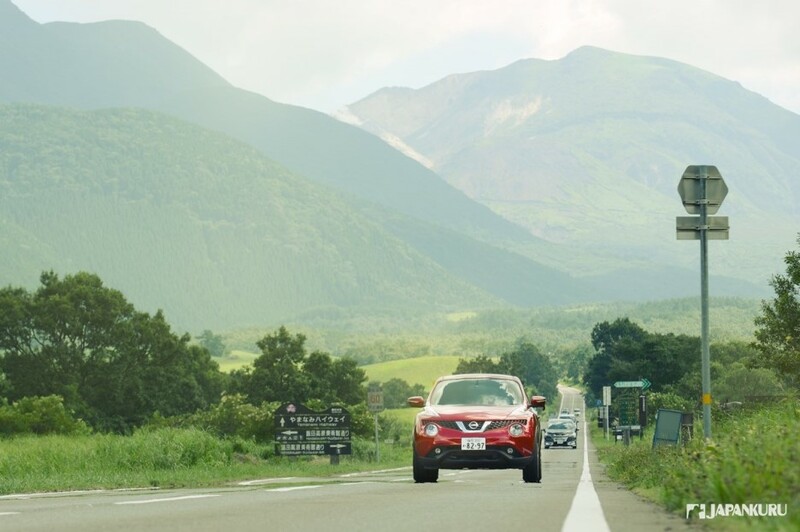 The world's volcanic car route. Let us share with your our photography! Extending straight out from the volcano Avenue. Why don't we take a picture? 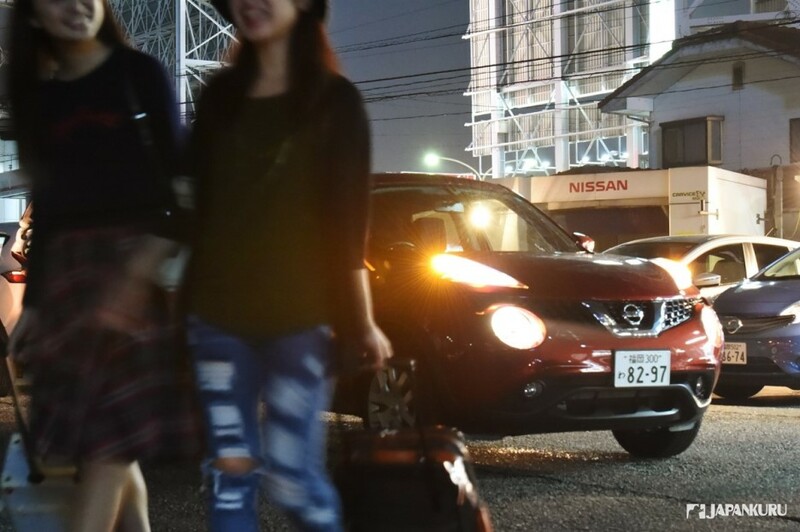 After conquest of Kyushu with Nissan car.